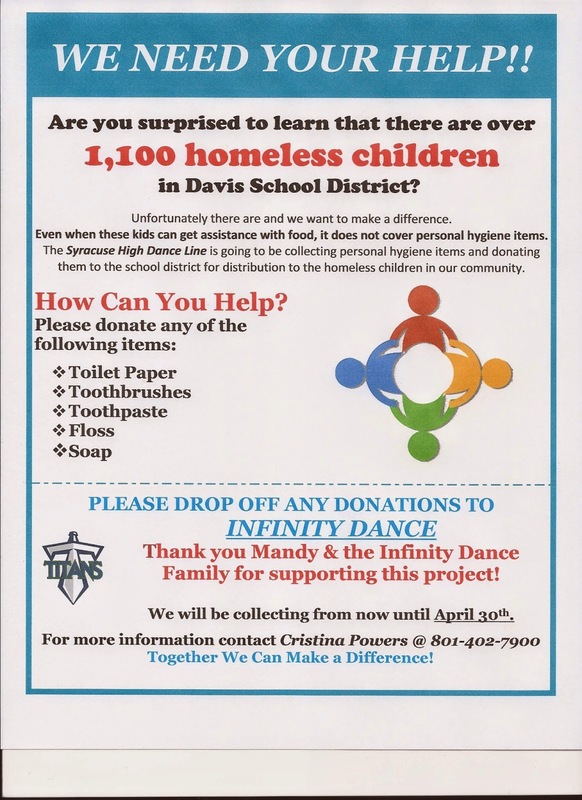 The Syracuse High Dance Line is working to make a difference in the lives of 1,100 homeless children in the Davis School District. They are collecting personal hygiene items to be donated to homeless students in the community. You can help by donating any of the items listed below. A collection box will be available at the Ogden Studio. We encourage any dancers who are able to make a donation and give back to those in need in our community. Thanks for your support and generosity! !